I can't believe it's right around the corner. Our little guy will be turning 1! We're planning an animal themed fete to ring in his first year. Soyoung from Dogear Press helped us design this interactive invite (unfortunately the links don't show up on blogger) and Kelly from Studio DIY is helping us with the concepting (craft paper pinwheels and spray painted plastic animals are on the agenda). Can't wait to show you all the party in full swing. 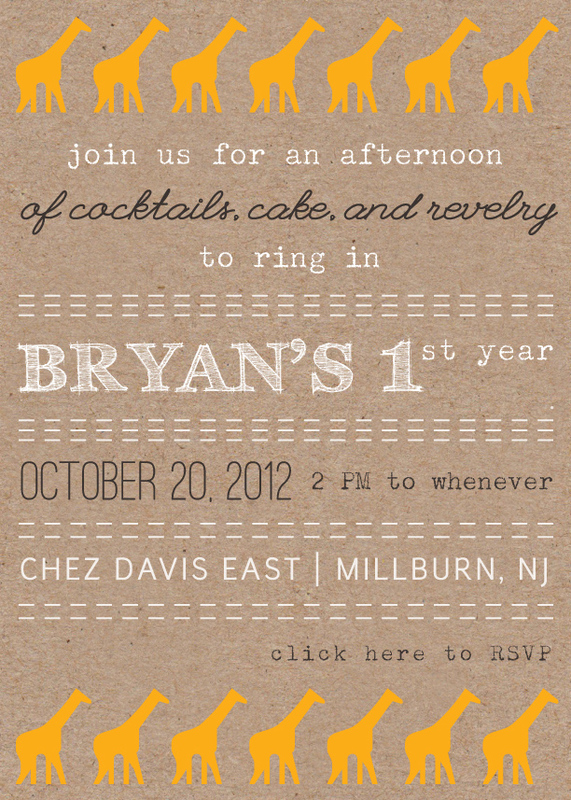 Had so much fun designing Bryan's birthday invite. Looking forward to celebrating with you guys!